We all know that lasting beauty and health isn’t possible without quality sleep. 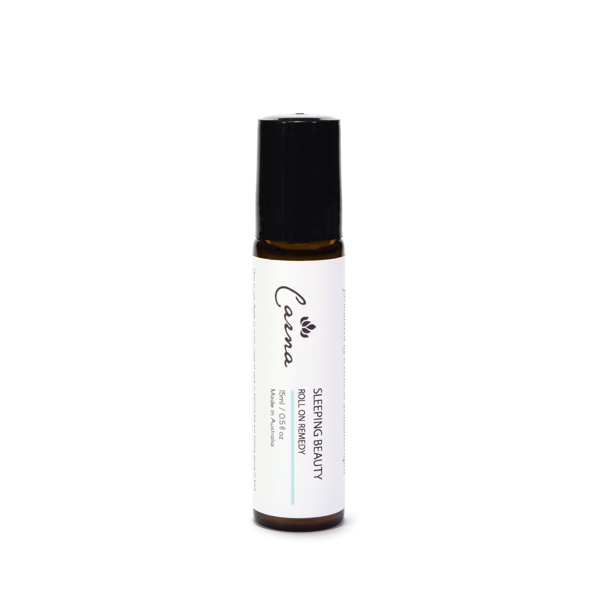 An effective sleep aid, insomnia remedy and nightly bedtime ritual, our “Sleeping Beauty” Roll-On Remedy can also be worn as an elegant perfume, stress and anxiety remedy or to help you find some much-needed peace on a long flight. We’ve created this luxurious and sophisticated scent for you by adding precious Neroli essential oil to our calming “Sleeping Beauty” recipe. Combined with Tasmanian Lavender, Petitgrain, Rosalina and a touch of Marjoram Sweet and Chamomile Roman, the gentle aroma of this unique, sedative blend is designed to inspire the sweetest of dreams. The handy roll-on bottle makes for a thoughtful gift and is easy to keep close on your bedside table for nightly use, in your handbag, at your work desk or in your carry-on for travel. – We believe that exceptional quality, proven results, unwavering integrity and environmental responsibility. We’ll never sacrifice quality, or your health, for the sake of profit. Apply to wrists, nape of neck or behind the ear before going to bed. This is really good and effective product. I feel like to be in the fresh green forest. I really like this. I love this product. Had difficulty sleeping until I discovered Sleeping Beauty. The aroma is lovely and I am now sleeping like a baby. As someone who has always had trouble sleeping, this little potion is such a comfort to have by my bedside to hep me drift off. Plus I love the smell so much I’m tempted to wear it in the day too.